Are you ready…to network with fellow Rebels? 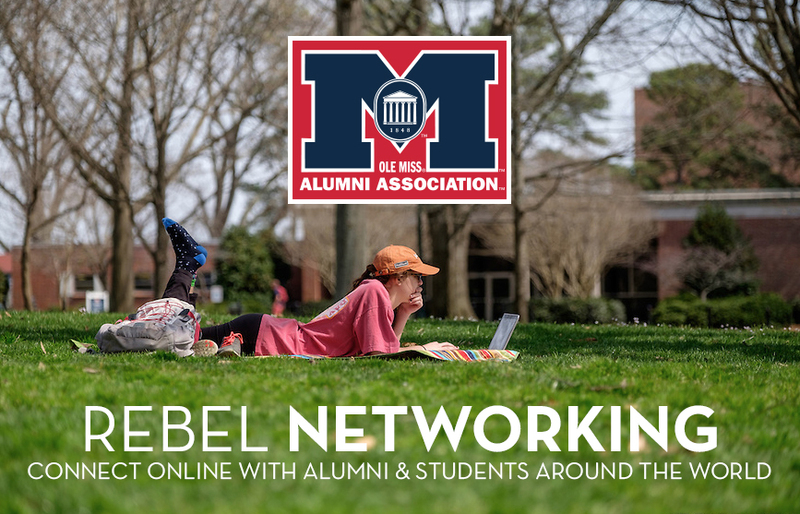 The Alumni Association’s series of online Rebel Networking events will host a Cyber Monday event on Nov. 28 to keep students and alumni better connected. Through the Rebel Networking platform, alumni and students can connect and chat with each other no matter where they are in the world — from the comfort of their homes, offices or dorm rooms. The real-time event allows alumni and students to log in and chat with another Rebel for up to 10 minutes, where they will have the opportunity to ask questions, share experiences, exchange career tips and build a professional network using text-based chats. Users will be able to initiate a second chat or move to a new chat if the current one becomes inactive. The platform provides online speed-networking with fellow Rebels in a convenient format that allows users to participate from anywhere internet access is available. The Cyber Monday networking event will take place at noon (CT) on Nov. 28. Registration is open to all alumni, friends and students. Click HERE to register in advance. Participants will be required to be an active member of the Alumni Association for future events. If you’re not an active member and want to take advantage of this opportunity, JOIN today!